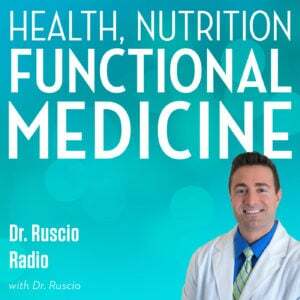 In this episode of the podcast, Dr. Ruscio interviews Dr. Allison Siebecker on Small Intestinal Bacterial Overgrowth (SIBO). Dr. Siebecker is the Medical Director of the SIBO Center for Digestive Health at NCNM Clinic in Portland, OR, where she specializes in the treatment of SIBO. 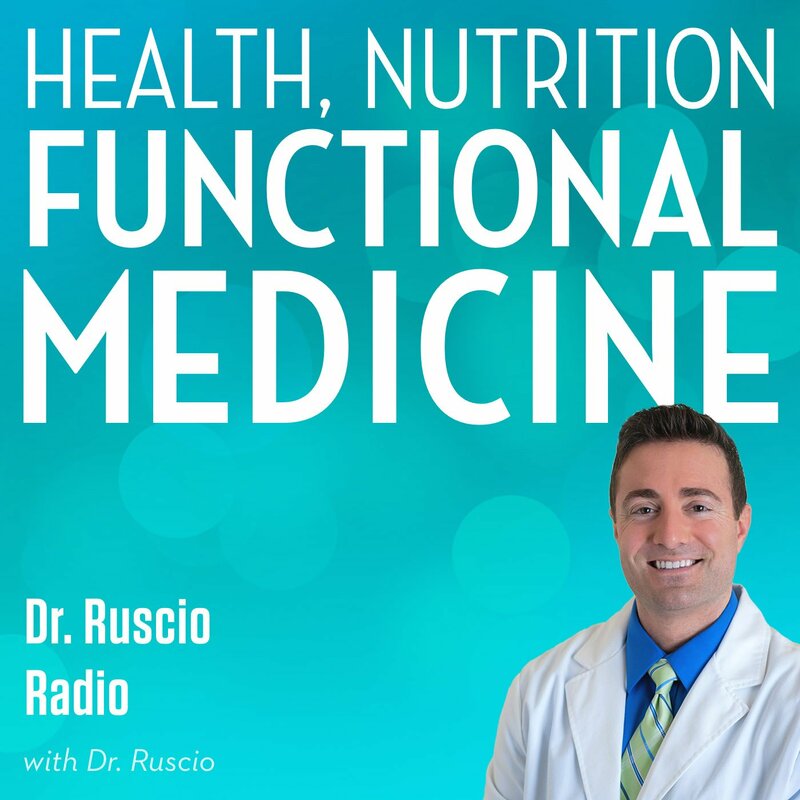 Welcome to Dr. Ruscio Radio, discussing the cutting edge of health, nutrition, and functional medicine. To make sure you’re up today on this and other important topics, visit DrRuscio.com and sign up to receive weekly updates. That’s D-R-R-U-S-C-I-O.com. The following discussion is for educational purposes only, and is not intended to diagnose or treat any disease. Please do not apply any of this information without first speaking to your doctor. Dr. Michael Ruscio: Hi, everyone. Welcome to Dr. Ruscio Radio. This is Michael Ruscio. And I am here with the Queen of SIBO, Dr. Allison Siebecker. Dr. Allison Siebecker: I love that. Thank you. DrMR: I want to let people know that we met via phone maybe about six months ago, I believe. I walked away from that phone call saying this lady knows her stuff. I was really, really impressed, and I hardly ever say that. But I was really impressed. So, a hat tip to you, my lady. DrAS: I’m, like, smiling so big now. Thank you! That is, like, an incredible compliment. Thank you. DrMR: I could just tell that you were super passionate about this. You were clearly a specialist in SIBO. And the thing that really struck me – and one of my pet peeves sometimes with practitioners – can be the overly academic practitioner who is not practical at all, and not clinical. That was one of the things that frustrated me early in my career. I was trying to become a better clinician, and sometimes I felt like the people I was learning from weren’t good clinicians. They were astute academicians, but the information that I was getting wasn’t very clinically useful or practical. And that was one of the things that really struck me when I walked away from our conversation – you were very well-versed, but it was a lot of academic fluff. It was just, OK, what’s in clinical science to get better. So, yeah. I’m really kind of the giving you an ego boost here, I hope. But I think it’s well deserved. DrMR: So, why don’t you give everyone just a quick background about you and what you do so people have a brief orientation to what you are all about. DrAS: Oh, sure. I’m a naturopathic doctor and an acupuncturist. I’ve been in practice for 10 years. The first five I was a primary care, with a bit of an emphasis on Functional Medicine like yourself. And then for the last five years I’ve been specializing in just SIBO; I only see patients who think they have SIBO or were referred for SIBO. DrAS: And I got into it from enlightened self-interest because I have SIBO, although I didn’t know that until later. I’ve had it most of my life, although it was diagnosed earlier as IBS – Irritable Bowel Syndrome. It was really just possible very selfishly inspired. I wanted to understand the condition I had suffered from – sort of take some control and take charge, because like so many mysterious chronic diseases that people suffer from, I felt just empowered and just, like, “Forget this.” I wanted to learn something about it. You know, knowledge is power, so that’s what set a fire under me, and, of course, the desire to help others. If you think of whenever we suffer from, and you think of someone you love suffering from it, it’s worse than you suffering, you know? DrAS: And so, there are many people…so many people suffer from IBS or SIBO that I wanted to help others. I really have a passion about it. So, my other credentials are that I co-founded the SIBO Center for Digestive Health at NCNM Clinic with my partner, Dr. Sandberg-Lewis , my SIBO partner Sandberg-Lewis. And then, I teach a SIBO course at the Naturopathic College (of Natural Medicine) for graduate students. I lecture around on SIBO at various continuing education things. There are probably other things, but that’s all I can think of right now. DrMR: Sure. Clearly, you are heavily involved with SIBO. I have to say, I really feel a kinship with you in the sense of – my initial years of practice I was a Function Medicine general practitioner. But, through my own trial and tribulations with my own gut health, I’ve really been focusing more and more on the gut. I’ve always had a peak interest in the gut, but over the past few years I’ve just been amazed at how many other symptoms and conditions clear up once things in the gut get corrected. One of the examples that really jumps out at me is with hypothyroidism, for example. I’ve seen some patients have miraculous improvements in their thyroid conditions after clearing up SIBO or other gut infections. So, the way I look at things oftentimes in the clinic now are we start with the gut, and once we got the gut straighten out, so to speak, then we reevaluate if there is anything else on the table that still needs to be addressed; and often times, the secondary things go away. So yeah, it can really be an amazing area to specialize in. So, I totally share your fascination with the gut. And I think you said something that’s a good lead-in, which was you had IBS-type symptoms. According to the studies that you read, one of the the studies that have the highest overlap between IBS and SIBO showed, I believe it was, 84 percent. So, from this particular study, 84 percent of cases of IBS can be directly attributable to SIBO as the underlying cause. So, can you outline that piece for people so that they understand – maybe if they haven’t heard of SIBO, which is a condition of bacterial overgrowth, maybe they’re familiar with some of the key symptoms that are associated with them. DrAS: Oh, absolutely. So, Irritable Bowel Syndrome is a diagnosis of exclusion. That means that as of yet, there’s no obvious physical think that can be found on testing to say this is what you have. Like, there could be with an ulcer…you see an ulcer. And so, IBS is just diagnosed by symptoms, and when you’ve ruled out other things – ‘Oh, a person doesn’t have an ulcer. Oh, they don’t have celiac disease. But they have these symptoms. Oh, that means they have IBS. So, the symptoms are abdominal bloating – which is also called abdominal extension, where the abdomen swells out – and bowel movement changes; so either constipation or diarrhea, or some sort of mixture of the two. And then lastly, abdominal pain or discomfort – it depends on how someone experiences it. Those are the key symptoms that diagnosis IBS. But there are other symptoms. So, those are the symptoms of SIBO – they are the exact same symptoms of IBS. But there are other symptoms that often go along with it. Those are: excessive farting or burping – that just makes sense because the excess gas that is swelling out the abdominal and bloating…if it is having a chance to exit, then you get excessive farting and burping; there could be nausea; there could be acid reflux; very commonly there is food sensitivity with digestive symptoms, and not even just food sensitivities, but also sensitivity to supplements and medicines; and then fatigue is very common; and also brain fog. I think people who get diagnosed with IBS often have all of these other symptoms. It’s just that the technical way that you diagnose it is with those three main symptoms – bloating, pain, and bowel movement changes. DrMR: Right, so kind of the textbook definition is the bloating, the bowel changes, in terms of regularity. Absolutely. And the thing that I think is important to keep in mind is there’s a lot of other, I guess we would call them, extra-intestinal manifestations of SIBO, and my own personal story kind of helps keep me grounded and not forgetting about those. Sometimes, and I’m sure you can relate to this, you read the medical literature and it’s very kind of in the box or not, right? So, the more you read some of the conventional medical, you get sucked into this very conventional way of thinking where, if the patient doesn’t present with the textbook symptoms of bloating, abdominal distension, and either constipation or diarrhea, or a mixture of the two, they might not have SIBO. But, I have not found that to be true. In my own case, I had an amoebic infection that typically caused diarrhea. But, I didn’t have any real diarrhea or much in the way of gastrointestinal symptoms. But I had really bad brain fog, really awful insomnia, and fatigue, and I was starting to feel cold, and had bouts of depression. And so, that’s been an experience for me that has always kind of kept me grounded from not only looking at gut problems as causing gut symptoms. I’ve certainly seen that with some patients – I’ve seen insomnia get a lot better, brain fog. I even had one patient that had what I thought was Lyme disease, because she this strange…along the path of a nerve route in the arms, nerve burning, which you would think would be maybe something like an obstruction or Lymn disease. And even that went away after clearing her SIBO. It certainly doesn’t happen every time, but I think it is important for people to keep in mind, that even symptoms outside of the gut that may seem unrelated, can clear up in some cases if the SIBO is addressed. DrAS: You know, this is such an important point. While the typical SIBO patient some digestive symptom, usually not always. There’s a rheumatological clinic for rheumatoid arthritis that is doing a lot of testing and finding that patients that have no digestive symptoms at all, but whom have rheumatoid arthritis, very many of them have SIBO. They treat the SIBO and their rheumatoid arthritis gets better. I’ve seen many patients like this – with rosacea – it is linked with SIBO. And other conditions where they’ll come to me saying, ‘Look, I don’t have any digestive complaints, but could we just check?’ We check; they have it. We treat it and their rosacea clears up. So, this is a really good point that you made. DrMR: Exactly. I am glad we are in agreement on that. And, yeah, I’ve been…I started beta testing that maybe a year and a half ago, and I said ‘Gosh, let me just start running the SIBO screening on some of these patients with non-SIBO-like symptoms. What do you know? People are coming back positive maybe 50 percent of the time, as a really rough estimate. And then the treatment yielded improvements in their non-digestive symptoms. So yeah, definitely an important concept. DrMR: I guess along those same lines, if someone is listening to this and saying, ‘Well jeez, maybe I have this, maybe I don’t. How can I figure it out?’ What are some of the tests that can be used to help diagnose? DrAS: There is really just one one main test for SIBO that’s used in clinical practice, and the SIBO breath test. The one we tend to do here in the United States is the lactulose breath test – that’s lactulose, not lactose. It’s a different sort of sugar. The best way to do the test is for three hours, but many labs do offer it for less time than that. This is a test you can do either in the doctor’s office or at a facility like a hospital, or they have the machine that does it. Or, you can use…there are a lot of different labs that are mail order, where they send you a kit, or your doctor gives you a kit, and you just do this test at home. It takes about three hours or two, depending on the lab, and you usually do it in the morning – like on a weekend – because you have to do an overnight fast, and you can’t eat until the test is done. So, you wake up maybe on a weekend morning and do the test, and then you mail it off. So, that’s the best way to diagnose it – it’s what all of the research studies have used on SIBO. Some of the studies use the glucose breath test. The difference with that is that the glucose breath test can only identify SIBO that’s very high up in the intestines – within the first two feet. But the small intestine is 18-22 feet long, and so you’re missing the majority of it when you do the glucose breath test. But, I actually wanted to mention this because the lactulose breath test needs to be ordered by a doctor with a prescribing license usually. The glucose breath test can be ordered by anyone – so, a patient can order – just a person, anyone – can order themselves the glucose breath test. That’s important to know because, if someone is listening, and they go online and find a way to order their own breath test, that means they are getting a glucose breathe test. What’s important to know is if that’s the negative, that doesn’t mean SIBO is negative, because it’s only tested the first two feet. That means, you now need to go on and lactulose breath test. Now, if that lactulose breath test was positive, then good – you have your answer. DrAS: I wanted to mention that, because that is a tricky thing that people might not know about that they could fall into. DrMR: I think that’s a phenomenally good point. And, I think you really hit the nail on the head with describing the reason why some may order the glucose test – because it is potentially easier to obtain. I think we both learn from both conventional medicine circles and from alternative medicine circles. The standard recommendation when I was initially looking into this in the alternative circles was using a glucose test. And so, like I like to do, I went and I did a reference search to see what kind of scientific validation there was for the glucose test, and I was surprised to see that it was used, but it wasn’t used nearly as much as the lactulose test. Like we will talk about in a second, there was also very poor science for the urine test – the organic acid test. I want to come back to that one in a minute. But, I think you make a really excellent point, because I think some of the alternative providers aren’t able to access the lactulose, and they can’t run the test. But, that doesn’t mean that’s a valid test. I actually just saw that last week in the clinic, where I was working with a patient from Canada. They had done both tests; it was much easier for him to locally obtain a glucose test. That test came back negative. When we followed it up with the lactulose test, that came back positive. So, this is legitimate. It really can make a big difference in either finding or not finding the SIBO. As you said – I just want to reinforce this – the reason it appears is because the glucose gets absorbed very quickly and very early in the intestines. But, if this bacteria is growing from the colon up into the small intestine, then we would expect, of course, to find more SIBO at the end of the small intestine rather than at the beginning. So, I think the lactulose certainly makes a whole heck of a lot of sense for a good evaluation. Would you agree with that? DrAS: Yeah, it bothers something. And the other thing to keep in mind is that, for someone who does take the test, and it really bothers them, usually – not always- but usually those people have very high gas levels come back. And so, then we treat it and I always want to retest to see if we’ve been effective. So, those people may be afraid to retest, but what we need to keep in mind is, now that we’ve treat it, you won’t react as badly. DrMR: But, it really does not…severe reactions completely do not happen very often. I think you make an excellent point, which is: if you do react severely, and were successful with treatment, we should see your level of reactivity really, really improve. So, don’t be too gun shy to do the retest, because it can be really useful clinical information. DrMR: The other test (has) some pros and cons I want to dig into briefly here is the urine test. This is the other test…when I went to vet the science on this, there was almost nothing. I mean, really. I was shocked to hear clinicians were using the urine test for SIBO because the science was so, so sparse. I think there is, maybe, a time and a place for it, but I want to get your position on this first before I jump into my thoughts on it. DrAS: I had never even heard that this was a test that could or should be used for SIBO until I heard some folks without licenses saying that this was a test for SIBO. I was like, ‘What?’ Not a single research study has used this as a way to diagnosis SIBO. It is not a test that diagnoses SIBO. So then, when I heard some practitioners talking about this, I looked into it. I did see that Dr. Pimentel and fellows – Dr. Pimentel being the lead researcher on SIBO – had published an article where they discussed it as something that sure seemed interesting, and, you know, (something) maybe we could look into. But, I think there had been something like five or six studies in total done to correlate it. What they found was…and what the urine test is about is looking for metabolites that come from bacteria, to see if that would correlate with SIBO. And they found certain of these metabolites did correlate with SIBO, and others didn’t in these very few tests. DrAS: When you call…I called the labs that offer the urine test and asked them, “Does this diagnosis SIBO?” I wanted to see what they would say. They said, “No, absolutely not. This is not a diagnostic test for SIBO, and you need to use the breath test for that. So, that’s the real issue. Another test that a lot of people get confused about is the stool test. The stool test only shows you the bacteria that’s represented from the large intestine. So, that would be an issue with the urine test. We really need to know is this a small intestine issuer or a large intestine issue. DrMR: Exactly. I think that’s one of the main challenges with the urine test is there are, to put it simply, markers of dysbiosis that we can test in the urine. But, it doesn’t tell us where this dysbiosis is occurring. So, if you don’t know where it’s occurring, then we really can’t diagnose SIBO. And, of course, the stool test is also a great point – which is, the stool test doesn’t…that’s more of your traditional parasitology. You can look for candida, bacterial infections, protozoa, amoebas, worms – things like that from the stool testing; more of colonic infections. But, yes, it is not diagnostic of SIBO. A lot of times, patients will come in and they’ll say, ‘I’ve had a really comprehensive stool test. So, haven’t I ruled out SIBO?’ It’s surprising how many patients just think that a test is a test is a test. Same thing sometimes happens with blood tests – ‘I’ve had a blood test and everything came back normal.’ Well gosh, there are thousands of markers you can run the blood test. So, the specificity of the test is really important. So, definitely a good point. DrAS: There is, actually, one other test that is an actual diagnostic test for SIBO. But, it is not easy to obtain, and it’s the small intestine culture. There are some people who that’s the only test they get. You know, they will go to a gastroenterologist – what this is when an endoscopy is done where it is put through the mouth, throat, through the stomach, and down into the small intestine. When that’s done, there can be a sampling of the fluid there to see if there’s bacteria that can culture it, and see what grows and see if it’s more than usual. Ans so, there are some people who go to a gastroenterologist, get that test, (and) never get the breath test done, actually. That is a valid way to diagnose SIBO. But, once again, that tube can only reach to about the first two to three feet. And so, it’s just like the glucose test. What about the other 18 feet there? So, a breath test really is our only option at this point for proper diagnosis. DrMR: And the invasiveness of that procedures makes it really makes it not as nearly as favorable as the breath test. DrAS: You cannot just go get that done, you know? DrMR: Right, yeah. And it’s certainly not pleasurable to have someone shove a tube down your throat. DrMR: Now, there is something that I’ve been toying with with the urine test. And I actually was able to find some of the dysbiosis organic acid markers through the conventional labs like Quest and LabCorp. So, now I can tack them onto insurance billing for patients. So, because I can do that, and they’re not terribly expensive – they are not terribly expensive anyway, but if we can run it through insurance…that’s when I will start testing out a concept. I really don’t like to test out a concept when a patient has to pay cash out of their pocket. But I’ve been adding in some of the markers like delactate, indokins, and benzoate. And, this is my own speculation purely, but there is another type of SIBO – hydrogen sulfide – that doesn’t show up on the breath test. The way I am using the urine test now – and I think the urine test may have, in my own speculation, application – is if the initial breath test – the lactulose hydrogen methane breath test – comes back negative, then I will order a follow up screening for dysbiosis, via the urine – and again, it’s not diagnostic of SIBO, but if all of the signs and symptoms are there, and I am really suspicious of it, I will usually follow up with a urine test, and, potentially, also a stool test to see if there is some other kind of infections. Or maybe there is this dysbiosis that may be producing hydrogen sulfide, because we really don’t have a test for that. That’s another kind of SIBO that can sometimes sneak underneath the radar. DrAS: Well actually, this is real good thinking on your part, because there is a urine test for hydrogen sulfide. DrMR: It’s in Belgium, right? DrAS: Oh, I will try, (Kenny) De Meirleir, Dr. Meirleir in Belgium. That lab is Protea Biopharma. Then there is a lab in America that imports that test. I think that’s called Systemic Formulations. So, the Belgian lab, anybody can order themselves; the US lab has to be ordered through a doctor, a physician. So, there is a urine test for hydrogen sulfide – I’ve been using it for years to try to rule in or out hydrogen sulfide. But Dr. Pimentel has invented a breath test for hydrogen sulfide, and we’ve been waiting for it to come out – you know, these things take time. But, it’s already been invented, and I just can’t wait until it hits the market. DrMR: I share your enthusiasm. Actually, I called the center a few months ago and was hoping it was going to be out, but it’s not out yet. DrAS: Yeah, not yet. We are all waiting. DrMR: Actually, that’s a good question for me to ask. I wasn’t aware of the ability to get the testing – the hydrogen sulfide urine tests – stateside, so I thought you had to go through Belgium. And it just seemed like too many obstacles for a patient to overcome. So I’ve been using the states-based organic acid profile. But, you’ve been using it. Is it is a readily easily available in terms of a clinician to set up an account and start screening this for their patients? DrAS: You know, honestly I just send everyone to the Belgian lab. It might seem a little tricky for them to order it online, but everyone seems to just do it – it only costs $45…it’s 45 euros; it used to be $35. So, it’s not that expensive. It just takes a little time to come. But, it’s an easy test because you just pee in a tube and then you have your immediate results based on the color that it turns. DrAS: People don’t mind, you know? DrMR: Sure. So it sounds like it’s hard either way. We have this Belgian test which is non-validated. We also have the organic acids which are available in the United States, which are also not validated. So, once you go outside of hydrogen and methane, it seems like you’re kind of going to uncharted territory. But sometimes you do just have to do the best you can with the tools you have. DrMR: And something else we should mention just in case this slipped through: some of the SIBO tests only test for hydrogen gas. So, it’s definitely important to test for both hydrogen and methane, because there are two gases, and we want to make sure we test for both of them. Some people will only have methane and not hydrogen. So definitely, if you are listening to this, and you are thinking about getting tested, make sure the test is hydrogen and methane. DrMR: And then something else. Are you routinely doing any kind of stool testing along with your SIBO testing to see if there was any other kind of co-infections present? DrAS: I am not now doing it, but that’s based on the setup of m practice. I’m sort of taking a sabbatical from in-office practice, and I am just doing Skypes. I can’t order tests for people if I haven’t seen them in person first – I can’t be their official ‘real’ doctor, so I am not able to do that at this time. But, back when I was in clinic, I would say about 50 percent of people I would run stool tests on. A lot of times, people come to me with a recent stool test. They are just coming to me as a specialist in SIBO, you know? So, they are getting all of their testing from other people. I can say from running a lot of stool tests on folks, I mean a good half to more than half don’t have anything else going on – you know, from stool testing. DrAS: For a long time I was running double stool tests. So, it is really an important point, because for years all anyone had to blame these symptoms on was Candida, you know, possibly parasites, or maybe leaky gut. You know, just like these are sort of the catch-all things, which are real and often bother people. But, it’s really interesting how this whole thing was missed, of bacterial overgrowth in the small intestine. It’s really been a lifesaver for a lot of people, to find this diagnosis for them, when nothing else could be found. DrAS: That’s exactly what I saw. Exactly. DrMR: Yeah, yeah. And I want to circle back to that later, because I want to discuss how people can recover from this, and how that may play a part. So, we will kind of pin that in the back of our heads for right now. But, let’s give people a little bit of information on what the underlying cause is of the SIBO arc. Because we are trying to keep asking, ‘Well, what causes it?’ We kind of keep going deeper, deeper, deeper, and deeper in terms of this causative model. So, if IBS is caused by SIBO, and SIBO is this condition of bacterial overgrowth, then what causes SIBO? DrAS: Right. OK, so I like to organize it like this – there are four main ways, and each one has further in them. But the first one would be failure of the normal protective factors against small intestinal colonization. Inherent in that concept there is that bacteria are not suppose to be overgrown in the small intestine. That isn’t the way normally our health is. We have lots of bacteria in the large intestine but very few in the small intestine. So, we have all these protective factors that stop us from getting that overgrowth. Before I say what they are, let me say the other three general underlying causes: obstruction, or partial obstruction, of the small intestine – that would allow bacteria to back up behind that obstruction and not flow down into the large intestine. Inherent in that thought is the fact that bacteria are always entering into the body through the mouth. Just when we swallow, our own saliva. They are everywhere, bacteria are everywhere, right? That’s not a bad thing. And so, when we eat and drink. So, they are always coming downward. What the small intestine does is either kill them or move them down to the large intestine. Obstruction means they could back up behind it, whatever the obstruction is, and accumulate. So, the third one would be a non-draining pocket or section of the small intestine, and that would be something like small intestine diverticula, which is like a little out-pouching off the small intestine, or possibly a surgical blind loop. What both of these are are little section or pockets that bacteria can accumulate in but there is no way to clean it out really, because they are off of the normal flow now because they are not draining. DrAS: The last one would be a tunnel or what’s called a fistula from the large intestine into the small intestine. So, if there is a tunnel from where all the bacteria are up into the small intestine, they can just colonize right in there. So, let me go back to the failure of protective factors, and just say what they are: those are hydrochloric acid of the stomach – so low stomach acid could be a cause for SIBO; the bile that comes from the gallbladder and the enzymes that are secreted from the pancreas; those either kill or stop bacteria left over from multiplying – it’s possible if you get low on those, you can get SIBO; there is the migrating motor complex, which is probably the most important factor – that’s the motility of the small intestine that physically moves them down into the large intestine; then there is the immune system, both locally within the small intestine, and of the whole body that keeps bacteria in check – so, immunodeficiency disease, there is pretty much always SIBO involved in that; and lastly, there is the ileocecal valve, which separates the large intestine from the small intestine that creates a barrier. If by chance that is gone, surgically removed, or if it is stuck open, it gives more of a chance for bacteria to go backward and colonize the small intestine. So, those are the over-arching ways. Now, those are the physical underlying causes. But, that doesn’t describe how does someone actually really get these things, you know? Those categories would be things like what can cause those things I just described? That would be categories like diseases, surgery, injury, congenital malformations, things like that – stress. DrMR: Right. And so, for some of this stuff, we may want to have a physical evaluation, meaning endoscopy, colonoscopy by an gastroenterologist to see if there is any physical, anatomical changes in the intestines. DrAS: That’s a really good idea. That brings up an important point: how does one test for all of these underlying causes? This is where we get really stump as practitioners because we don’t have the proper tests for all of these. And a lot of the reason why is because the small intestine is a really hard place to properly test. It’s in the middle of the body, and we can’t really see it very well. And the tubes we put in from the top and the bottom can’t go through the whole small intestine. So, what would you be left with is exploratory surgery. That’s ridiculous. So, we are really stumped. For instance, one of the most common reasons to have SIBO would be the deficiency of the migrating motor complex, because that’s pretty much the primary protective mechanism. But, the only way to really test for this at this time is antroduodenal manometry, which is a test where tubes like the endoscopy tube is put down into the small intestine, so it’s an invasive test. Pressure readings are taken over time, and there are only three centers in the US that does this test right now. So, it’s not at all common or easy to actually test somebody’s migrating motor complex. Which is really frustrating because if we are thinking that the majority of people who have SIBO have it from a deficiency of the migratory motor complex, but then we can’t test to find that out, that is so frustrating, you know? DrMR: Right, it is very frustrating. And I just want to very quickly interject – in case people haven’t heard of the migratory motor complex, it’s essentially a cleaning wave that runs through the small intestine and sweeps bacteria down into the colon. So, it prevents all the dense population of bacteria in the colon at the end of the intestinal line from creeping up into the small intestine. One of the lead theories, as Allison’s outlining right now for why SIBO happens is a disruption in this cleaning wave for this migratory motor complex. But, like she is saying, we don’t really have great ways that are routinely available for assessing this. DrAS: So, it turns out there is a new way of testing it that is in development that I am not at liberty to speak about. But I am very excited that there is something in the works that come into every doctor’s office with ease. So, I cannot wait until that is ready. DrMR: To hint at this: is this an antibody test? DrAS: Something totally new, and it’ll be so helpful for everyone when we can check for the migratory motor complex. So, when you were just saying, ‘Well, why not get some imaging and check for physical things?’ The best test for that, in terms of SIBO, is a barium small intestinal Folinger test. And here is another place where we get thwarted because barium has fallen out of favor as a test. Instead, doctors like to do MRIs now. And so, not so many people perform it so well anymore because it’s out of favor. And so, typically when you get this test, the doctor performing the test will take, maybe, five pictures. What this is is there is a contrast drink that you drink that is mildly radioactive, so it can be taken pictures of and seen as it moves through your small intestine. And so, they might only take five pictures, where as the way we need it performed is with, maybe, 25 pictures or more. The ordering doctor has to know this and special instructions on the order and ask for multiple films, and positional changes, and these sorts of things to be able to get a proper test. So, even then you still might miss something. But that’s a very good way to check for obstruction – something that could be impeding flow – or just an anatomical alteration that might be affecting the person’s SIBO. So, any kind of take or tweak on that? DrAS: Yes, and that is what we’ve been doing all along, because we don’t have proper tests for the underlying cause. So, just do the breath test. Just do the breath test, find out if you have SIBO, and then move forward with sort of the standard treatment algorithm. DrMR: Right, and that’s where I really do think that working with a clinician on this is going to be helpful. I know people can access some of the testing on their own, and they can access some of the herbs that we will talk about later to treat this on their own. But, I really think that can easily be fraught with error, because if it doesn’t work, what you do next is really hard to figure out unless you are really trained in this. So yeah, this is an area where it would be well worth investing in the clinician’s guidance. DrAS: I agree. I mean, a person can always just try one thing on their own. If it works, then they are golden. But if it doesn’t work, then go get some help. DrMR: Yeah, don’t spin your wheels for too long, because that can get expensive, frustrating, and, yeah, I think that’s very well said. DrMR: One or two other things that I think are important to mention is the use of opiate medications, in terms of a causative factor. Have you noticed that to be something that’s a major contributor? DrAS: Absolutely. In fact, I didn’t mention drugs as one of the categories the can cause the underlying causes. But, it’s not just opiates; it’s also proton pump inhibitor acid reducing drugs, and there are some other ones. But I have seen many cases of people who get SIBO from opiate use. For the most part what I see clinically is they go in for surgery, are prescribed opiates or have something like kidney or gallstones and are given opiates and then develop SIBO after that. DrAS: It can straight-up cause it, and that one would be slowing motility. That one is affecting migrating motor complex. And I will say, I can’t remember the name of it now, but there is a way to…because I’ve seen many patients who actually need to be on opiates for some chronic conditions that there is nothing else we can do. There is a way that you can prescribe an opiate where the central nervous effects can be felt, but the local gastrointestinal effects are blocked so it won’t affect motility (1a) (1b). It’s a special prescription and I’ve had to do that for several patients in case you have no other option – like, if the back pain can’t be managed in any other way. DrMR: So, it’s a dosing schedule or it’s a certain compound? DrAS: I’m sorry; it’s a whole different medication. And I don’t want try and think of the name off the top of my head because I will get it wrong and then anyone who is listening will be confused. You can post it on this (1b). DrMR: Yeah, maybe what we’ll do is maybe follow up after and we can put that in the show notes, because for someone who might be in this position, that might be a really nice thing to have access to. DrAS: It’s pretty important, actually. DrMR: Yeah, I’ve seen that clinically – it can definitely be a stick in the mud. One or two other things as you were talking that came to my mind: something else I’ve been experimenting with. I can’t report a huge observational statistic, because we’ve only it with a handful of patients, but for people who have constipation and have SIBO, that’s sometimes when I will use aggressive doses of bile. If there is too much bile, it can actually case diarrhea, through a process called bile acid malabsorption. But, the right amount of bile can kind of help get things moving through the colon, and it’s antibacterial. So, I’ve had a few patients that they’ve had constipation-type SIBO, and we’ve used higher doses of bile in some of these troubling cases. It seems so far, at least in the limited number of patients that we’ve tried this with to be helpful. Is that anything that you’ve ever experimented with, Allison? DrAS: I’ve never tried, but I think it it’s a great idea. Great idea. DrMR: OK. Well, thank you. DrMR: And then the other thing that I wanted to get your opinion on, because we did a podcast where we went into some detail about the Ileocecal valve. The thing that really struck me as I researched the Ileocecal valve – and please correct me if I’m wrong, because you certainly could have more information in this area than I do – but I wasn’t able to find a lot of science on therapies for the Ileocecal valve, per se. But I was able to track down that there seems to be a very high density of the interstitial cells of Cajal (ICC) in and around the area of the IC valve. And the interstitial cells of Cajal, we talked about this in the primer episode on SIBO (2a), those are kind of what affect the migratory motor complex. So, without the interstitial cells of Cajal, you don’t have good migratory motor complex function – or sweeping wave function. It seems like the Ileocecal valve, which in some circles is held as being incredibly important for SIBO – my thinking on this after looking at the some of the literature was, if you restore motility, you should restore Ileocecal valve function because of such a high density of those motility cells in that area. What’s you take on that? DrAS: I hadn’t read that yet, that there are a lot of ICCs near the Ileocecal valve. So, that is fantastic news, because it would make complete sense. You are absolutely right. I’ve only ever heard of just a few supplements that can be used to affect the Ileocecal valve for those whom need it better toned. Those same supplements should also then apply to the lower esophageal sphincter for someone who has GERD, who has a…and I have tried those in people, these supplements, without much benefit. So, to hear this is a great thing. DrMR: Yeah, I was really looking for that because a lot of people in the applied kineseology/muscle testing community seem to really give a lot of importance to the Ileocecal valve. I don’t want to discount that, but I think maybe the best treatment isn’t for the Ileocecal valve itself. It’s just for motility overall. Hopefully, that will be the case for people as they get their motility better, their IC valve will follow suit with it. DrAS: That is absolutely fantastic. I love hearing this. You know, a lot of these underlying causes haven’t been studied well enough to give us definitive answers about it. The Ileocecal valve is one of them. There was a study done for people who had their Ileocecal valves surgically removed that didn’t have a high amount of SIBO. So, it’s confusing. There are other studies that say, ‘No, it really is important.’ This is what we’ve been finding in these underlying causes. Except for migrating motor complex – that is one that there isn’t a dispute about. That is an obvious, known underlying cause of SIBO – and obstruction and things like blind loop. But some of these other ones, like hydrochloric acid and Ileocecal valve are quite disputed. I guess we just need a little bit better studies to give us our answers. DrMR: Right, and that’s what, hopefully, you and I are working on – I know we are both working on getting some information published. It’s so much to take a dent out of it. Hopefully we will put a small dent into this and get some published data, and start answering some of these questions that are pending. I think we share the same frustration of we love natural medicine, but we have such trepidation recommending treatments that aren’t validated. DrMR: So, hopefully, we will be cranking out some good literature to that regard in the next few years. DrMR: So, how about treatment now? I definitely want to get your treatment. But one thing I just want to give a quick preface about – if you are brand new to what can one do about IBS, then you probably just want to start with changing your diet, if you’re not eating a very healthy diet. And maybe try the paleo diet, maybe try the autoimmune paleo diet, maybe try the paleo diet with some SCD, which is specific carbohydrate. You can look these things up on the Internet fairly easily and get yourself a dietary template. That would be a really good starting point. And then maybe try a probiotic. Maybe try a digestive enzyme formula. Those would be a few fairly cheap, certainly not invasive, fairly easy things to do that can really help with some of the symptoms of IBS. This is my opinion, but if those things don’t work, then that’s when I would be looking more so into SIBO as the underlying cause. DrAS: I completely agree. Thank you for mentioning it. DrMR: Right. Because I know sometimes you get so zoned in that you forget some of the basics. Not that the basics aren’t important. It’s just we’re so zoomed in on the what-if-this-doesn’t-work cases that we forget about the simple solutions that are available. So, in terms of treatments, why don’t you give us your rundown on the treatments. And, at the end of this, I want to get into some troubleshooting, because I am sure there is probably some chronic SIBO sufferers out there. But, let’s start with the basics and then maybe end with a few troubleshooting tips. DrAS: OK. So, there are four basic areas for treating SIBO – that would be diet, antibiotics, there’s herbal antibiotics, and elemental diet. I find that diet is a great help for symptomatic relief; a great, great help. I’ve only ever seen a handful of people that didn’t have a very significant amount of symptomatic improvement from changing their diet to one of the SIBO diets. I will just mention what the SIBO diets are: it’s the specific carbohydrate diet (SCD); the GAPS diet, which is a variant of the SCD; there’s the low fodmap diet; I sort of compiled a version of the low fodmap diet with the SCD diet, and I call that the SIBO specific food guide; and then there is Dr. Pimentel’s Cedars-Sinai low fermentation diet – he intends that for the prevention of SIBO, but I’ve seen it help a lot of people with active SIBO with their symptoms. Also, what a lot of people do is they will just do the paleo diet and then just kind of modify it for the themselves, or autoimmune paleo. And, another one that I have not fully investigated – written by a friend of my, Norm Robillard; he wrote all of the fast track digestion books, and he’s got a SIBO diet in one of his books. DrAS: But basically, in terms of the SIBO diets, in a way it doesn’t really matter to me which one you start with, because you have to customize every diet to your self, because everyone is very individual, and SIBO expresses very individually for people, and they respond to treatments quite differently. I mean, this is true for all things anyway. But we sure see it in SIBO, and we sure see it in diet. This is something that I share about a lot – I know there are a lot of people whom blog, and go on discussion groups about SIBO. Very often, whatever has worked for one for person – you know, they will put their experience out there like, ‘That’s what every SIBO person needs to do.’ I just call that rookie mistake. DrAS: If you’re not a practitioner, and you don’t see the huge variation of things, and someone will be made because they weren’t told to do it this other way and not that way. My God, there are just so many varieties. You just have to keep tailoring. So, that’s the case with the diet. Don’t worry too much about which one it is. I could give general advice about which one to start with, but just pick one. Then get going on it, and then start customizing it – start trying to identify things that might not be working for you, and get it to the place where it’s working better for you. DrMR: I agree with you completely on that. Sometimes patients will come in with that same sort of narrative where they read something on a blog and they want to know why we’re not doing that specific treatment. Certainly, I am open to all things, but I think what you said is very important, where if there is someone who is really passionate about health, they are blogging, and they are really trying to help people – I love it, but as a clinician, you get to see maybe 10 patients a day with SIBO. DrMR: Yeah, and you do that for years and years and years. So, you really have a real depth of knowledge – or maybe I should even say wisdom, because what is the old saying? When you apply knowledge, wisdom is the experience you gain after applying knowledge…something like that. Because all of these things are theoretically very interesting. But, what you said is absolutely true, where you just have to see person after person after person and get a big-picture concept sort of idea. And I think you make a very good point with just trying one and tailoring it to yourself, because that’s an area where I think people can save a lot of money with not wanting to do tons of food allergy testing to figure out what their diet should be. That’s a way you could go. But I’ve just seen people that can just do elimination and reintroduction – they figure it out really well, and they don’t need to spend any money to do it. So, yeah, absolutely sage advice. DrAS: Thank you. And also, about food allergy testing, that’s testing for an immune reaction, and we’re not taking about an immune reaction here. I mean, we might be if we are talking if a person has leaky gut, and then they are having systemic symptoms. But for the most part , at least 50 percent or more, of what we are talking about is a carbohydrate malabsorption – that’s really what’s being created by the SIBO. The food allergy testing can’t represent that accurately. DrMR: Yep. And, you know, one of my patients said something to me – he was listening to a lecture by Tom O’Brien, and Tom O’Brien had said something along the lines of ‘Do you really think we are able to test for every mechanism of gluten intolerance that exists right now?’ We know of some of the mechanism of gluten intolerance, and we can test for those. But, in 10 years, there is probably going to be 4-5-6 other mechanism that we couldn’t test for today that we will be able to test for then. So, I guess his recommendation was see what your body reacts to rather then getting so fixated on a test result. That is such a great support for that point, which is it could be immune. It could also be, in this case, bacterial or fermentative. So yeah, I just really think people need to try it and see, and if you are listening to this and you’re gung-ho about the testing – and sometimes, I will see these patients in the clinic; they always get frustrated because I don’t recommend the food allergy testing. But it’s expensive, and I just haven’t seen it…some patients will say, ‘Well, I know I’m allergic to this, because I feel terrible when I eat it. But the food allergy test said I can eat it.’ Or vice versa. So, I think just some experimentation will be a good way to go, absolutely. DrMR: There is one thing I want to touch on real quick…. DrMR: …that you had said, which was resistant starch. I know that’s something that got really popular, and I even got swept into it a little bit myself, admittedly, when this (amount) of data on resistant starch came out. Then the question was, well, should we use it with SIBO, or should we not? I looked into it to a small extent, but I didn’t really get into it. I think you had a that same narrative where you started to look into it, but then the gentleman you mentioned earlier, he really looked into the issue. So, could you give us a recap on resistant starch and it’s place with SIBO? DrAS: Oh yeah. Resistant starch is fiber. The definition of fiber is that humans can’t digest it. But, bacteria can. So, fiber is a prebiotic, and that means it is just exclusively food for bacteria. That is the worst thing to do, in general, for someone with SIBO, is to give them direct and only food for bacteria. Talk about a challenge there, like a challenge test. That is essentially what lactulose is; lactulose can be considered a fiber, because we can’t digest it. Only bacteria can. That’s a little strange because most people think of fiber as bran, but, medically, the word fiber means a category that is much lager. So, if you give food to bacteria, then they make gas, and gas is what causes the symptoms, along with some other things. It’s just a way to aggrivate your SIBO. On top of that, you can possibly encourage more bacterial growth because you are feeding them. But I will say this, I’ve generally had patients avoid fiber because of what I just explained. But, sometimes, people find – with their diet experiments – that there might be one or another type of fiber that they tolerate just fine. So, again, that’s where experimentation is needed. It is possible somebody could tolerate some resistant starch in their diet where another person wouldn’t. I’ve had people be able to tolerate ground flax seed, while another person can’t. DrAS: Thank you! My brain is so tired today. It was a posting that, like, resistant starch could help SIBO. And I was shocked by that. When I followed the research, the links that they had, the actual research article, when I finally got to it, said the exact opposite. It could have been the person who read it, their interpretation. Or, I think there was a middle person who had to interpret it, and then someone else…it seemed like a game of telephone. But, when I read it myself, my interpretation was it was directly saying that it would feed bacteria and worsen it. What I was saying about that other gentleman – that’s Dr. Norm Robillard. He wrote two very long posts on it; he dissected every little detail on it. So, if you are interested in that, you can read it. I was just trying to figure out how did someone think that feeding fiber is a way to treat SIBO. There is one example that I can say where that has been found, and that’s once someone is taking rifaximin and the antibiotic, which we will get to soon, there was a study done where they added partially hydrolyzed guar gum, which is a fiber, and they just had a theory that it might help. In fact, it did. Now that’s a little different than just eating fiber, because it was taken with an antibiotic. DrAS: And also, it’s partially hydrolyzed, which means it’s already partially digested which helps it be not as aggravating. So, I hope I answered your question. DrMR: Yeah, you did. I would second what you said, which is I don’t really use resistant starch for people who have SIBO. For a little while I kind of experimented in the clinic to see what kind of potential benefit it could yield. I noticed some people reacted really negatively. Some people noticed nothing, and some people improved. Because there are such well-vetted scientific treatments available, I really didn’t see any need to push something into the mix that there wasn’t a whole lot of science on, and could potentially be detrimental for someone. DrAS: OK, so then there is pharmaceutical antibiotics. There really are just three that have been very well studied and used for SIBO. Those would be rifaximin, which the brand name is Xifaxan- that’s mostly just used for if you have hydrogen showing on your breath test. If you additionally have methane showing on your breath test, or if you have the symptom of constipation, regardless of what your breath test shows, then it’s recommended to add either neomycin or metronidazole – metronidazole is also called flagyl – those have been used to target the methane. Rifaximin and neimycin are special in that they don’t absorb into the blood, so they don’t go around the whole body. Therefore, they are much less likely to cause the bad symptoms that people get from the bad fallout from the antibiotics, such as yeast and urinary tract infections, secondary infections, because they are only acting in the intestines. Rifaximin itself actually only acts in the small intestine. It’s very localized to the small intestine. So, it’s nice to know it’s not going to carpet bomb the large intestine. And also, rifaximin is anti-inflammatory and has been studied and shown not to cause yeast overgrowth. Also, it has been shown that it can be used – up to six repeats – and no antibiotic resistance has developed in these studies. So, it’s very special. Anything that we use for a long amount of time that targets killing bacteria, antibiotic resistance will develop. Those bacteria are wily and are going to figure out a way to make a defense against it. But, at this point and time, there isn’t antibiotic resistance to (rifaximin). Actually one other thing: it can actually prevent the antibiotic resistance that develops in other antibiotics, like neomycin. So, when you take it together, especially if it is your first time taking neomycin, you won’t go on to develop antibiotic resistance. Rifaximin is a very special antibiotic that I don’t think falls into the category of the evil antibiotics that everyone is so worried and upset about, especially like us alternative folks. DrAS: So, riflaximin is special. Neomycin and metronidazole – a lot of poeple are right in general that when they take metronidazole that it has bothered them. And so, if you read any of that online, you’d never think you’d ever want to take it. But, I have to say that I don’t see that in my SIBO patients. I see tolerating it very well. And neomycin also. Neomycin – one thing I just want to mention is that there is this that with neomycin that it could cause deafness. What that is related to is the IV form – the intravenous form – of neomycin. Somehow, that seems to have spread to the oral way as well. I investigated it quite well, but I could find no evidence for that. I also spoke with Dr. Pimentel, and he’s been using it for over 15-20 years. He’s never had a case of ear damage or deafness occur from using neomycin. It’s something I want to mention, because if a person is going online and reading, they could get very frightened. And also, if they go to their doctor and just say, ‘Hey, this is the treatment for my SIBO constipation type with neomycin, some doctors haven’t investigated it. So, they’ll think it causes deafness, and they’ll think that the patient is crazy, or that the doctor, like me, is crazy. DrAS: It’s just important to know that, in fact, it doesn’t seem to cause that. DrMR: Yes, that’s a major potential side effect, so I am glad you provided that for people. DrAS: So the antibiotics – what I will say is they are normally given for 14 days – two weeks. And interestingly, first of all they work very, very well. The studies on antibiotics for SIBO show remarkable success rates – like, up to the 90s, which is pretty unheard of for really any treatment for really any disease. You just don’t ever see that kind of success. So, it’s very good success. I see it all the time. And I will say interesting: so many SIBO patients are sensitive – we mentioned this earlier: sensitive to food, supplements, medicines . I find for those who are very sensitive, often they do better with the pharmaceuticals antibiotics. That was a great surprise to me, because, of course, as a naturopath, I was trained that antibiotics are completely evil. DrAS: Which is a little bit annoying because no one medicine is all bad, you know? Which is a little bit annoying because nothing – no one medicine – is all bad, you know? So, that’s just something to keep in mind. It’s also quicker, and a lot of people choose it for that. A problem is riflaximin has not yet been approved for the treatment of IBS or SIBO. And so, if it’s not covered on a person’s insurance, it is very expensive – around $1.000, depending on your pharmacy. Somtehing that should be mentioned is that what people will do is they will look it up online and they’ll see that you can get it from India really cheap. But, that’s generic riflaximin, and it’s not the same as the branded riflaximin, and there has been several studies put out on this by Dr. Scarpinato. It’s pharmacologically and technically different, those two forms. What has been shown is there are some safety concerns. That’s mainly because the generic riflaximin does absorb into the blood, so it doesn’t act like the branded riflaximin. It absorbs throughout systemically. DrMR: That’s very good to know, actually. I didn’t know that was an issue. DrAS: Yeah. And so, when I first started in SIBO, and my patients were getting riflaximin from India, and we were not having good success, and our patients were having very bad symptoms, like worse than would be with just die off. So, we finally pinned it down to this Indian riflaximin. Since then, we’ve never used it again; we just didn’t think that was medically responsible. But, I will say that I’ve spoken with other doctors, and hear from other doctors, who use Indian riflaximin all the time and don’t know…have a different experience – they don’t know what I am talking about. They think it works, and they don’t see these horrible aggravations that I’ve seen. Maybe that’s because I tend to see more challenging cases, so I have to be all the more careful. Maybe for someone who has a simple or more mild case, it might work better. DrMR: We’ve only recommended the branded version, so I can’t comment on one or the other. But, hopefully if people are out there considering the Indian version, they will no longer do that. DrAS: Or at least hear the discussion on it. DrMR: Sure, sure. And you had mentioned that it was a 90-percent effectiveness rate with the antibiotics? DrAS: And then for herbal antibiotics, I have found herbal antibiotics to work just with the same effectiveness as antibiotics, pharmaceutical. I’ve been using them for about four years now. What I find is you need to use them for a month – where as the pharmaceutical antibiotics are used for two weeks. So, one month of herbals equals two weeks of pharmaceutical antibiotics. DrMR: I think that’s a great point. I’ve noticed the same thing clinically myself. Where for the first couple years while I was treating SIBO, we only would use the herbal antibiotics. And then I started hearing more information from Pimentel that opened up my mind a little bit to using the antibiotics. I am certainly not anti-drug, so I looked into it. I was expecting they antibiotics to be like this wow, this is just going to turn things around, and yada, yada, yada. But I really have to say that I was a little bit disappointed relative to the effectiveness of the herbs with the effectiveness of the antibiotics, because they weren’t remarkably or noticeably better. They seemed to be about equivalent. And that reminds of that study (by) I believe it was Gerry Mullin published, and I am so glad he did, a comparative study looking at the treatment of SIBO with antibiotics and with herbal antibiotics. He found about equivalent results. There is one point, maybe, we could nit-pic in that study. But, first of all, do I have the name right? I believe it’s Gerry Mullin, and any comment on that? DrAS: Yes, yes. I was just thrilled. We’ve asked him to come to our next SIBO symposium to discuss this. We’ve been trying to get him to come all along, but he’s a very busy man. He’s how I learned about how to use the herbal antibiotics – he was doing it long before I was, or my team. That’s what I see, and that’s what you see. The only think a I could say where this wouldn’t be true is some people seem to respond to one type of treatment and not the others. DrAS: I’ve seen that with everything. So, that’s another thing to think about: if you try the herbs and they don’t work, it might be one of the other methods works. That happens pretty commonly, actually. DrMR: Yeah, I think it’s good to keep an open mind, absolutely. And one of the things that I believe the studies showed between a 48-49.5 percent cure rate. But I am really going on memory on that one. But does that sound about right to you, Allison? DrAS: What we have to think about there is that they gave them one course and how well was that at normalizing the breath test? I would say that would sound right, because the majority of patients that I see – the vast majority – need more than one treatment round to normalize their breath tests. DrAS: I wanted to drive that point home, because that’s more so what I see clinically, where it’s maybe 50 percent of the time – maybe a little less – that you will see SIBO clear with one round of treatment. So, I don’t want people to hear that stat about the 90 percent success rate with antibiotics and…that’s maybe a false hope. I just haven’t seen that clinically – the 50 percent-ish seems to make more sense with one round of treatment. DrAS: I have to be honest – because I am a specialist, and so I am selected out for more challenging cases, people whom have failed their other treatments, you know, come to me. I’d say (in) less than five percent, one round would do it. But, that’s because I am selected out for that patient population. So anyway, the herbs that I tend to use are berberine containing herbs, and I tend to use a formula called berberine complex. I use berberine at 5,000 mg, or 5 grams per day, which is very high-dose. And then I use oregano; I learned that from Dr. Mullin. And I tend to use the one he uses, which is Biotics ADP – it’s emulsified. I think oregano can be caustic to mucus membranes, and so, some people get irritated by it. I think emulsified form lessens that a little bit. And about berberine: all berberine-containing herbs – that’s just a component – helps mucus membranes, actually. So that actually can heal leaky gut. And then, another one I use is Neem, Neem Plus. And then Allicin, like my name. It’s an extract from garlic. And the product I tend to use is Allimed, because it’s the highest dose I can find of Allison on the market. And tend to use for the oregano ADP what Dr. Mullin uses, which is two two times per day. And for the Allimed, I use anywhere from 2-6 a day, depending on the case. And for the neem, I use either 3-6 a day, for a month. I mix and match them as I see fit, but the important point is that Allimed is the only thing we’ve ever found that can target the methane and the constipation, similar to how neomycin or metronidazole are added to riflaximin. So, I haven’t found success in treating methane without using Allimed myself, personally. DrMR: And that seems to be the more challenging of the two types of gases to lower, certainly. DrMR: Recently, I was kind of checking around to see what was available for Allicin concentrate, and I found something called AlliMax – I send you an email on this, I believe. DrAS: Yes, Allimax Pro; you told me about it. DrMR: So, I guess there is another one available, and it’s the same dosage per capsule, and it’s the same compound, but I think it was about $30 cheaper per bottle. DrAS: That’s brilliant. And don’t confuse that with just Allimax, because Allimax without the pro is a lesser potency. DrMR: Right, thank you. Thank you for saying that. Thirty dollars might not seem like a lot, but if you have to be treated a few times, and with other testing, you know it adds up. That’s maybe something that can save a little bit of money for people. DrAS: And so, just on the herbs – I want to give them their due. They are all anti-inflammatory; they all treat yeast, parasites, viruses, (and) all at the same time it’s treating bacteria. Many of them are antioxidant. Herbs are amazing. Here I was singing the praises for riflaximin; I want to sing the praises of the herbs, too. They are phenomenal. DrMR: I am really glad you said that because, I like to say that herbal medicine has side benefits rather than side effects, meaning berberine, for example, can help normalize someone’s blood glucose in addition to helping to clear an infection. DrAS: And it also reduces LDL cholesterol for those whom have it elevated. These are phenomenon substances. DrMR: Right, yeah. There are many secondary health benefits that we can acquire with using these herbs. So yes, I am really glad you said this. We don’t want to give a biased view one way or another. These herbs really do have some really nice secondary side benefits, as I like to call it. DrAS: And also, garlic and berberine have been studied and shown to also prevent antibiotic resistance of antibiotics. So, that benefit is there with them as well. So, they are amazing. Now, the drawback is that it takes a little longer. It can be expensive. I mean, if someone has riflaximin and neomycin covered on their insurance, it’s cheaper than buying all these herbs, you know? And then also, die off can be worse. Die off is when you can get a flu-like feeling, or a worsening of your symptoms, usually toward the beginning of treatment, as the bacteria are dying. Typically it lasts a few days, but with herbs sometimes it lasts quite a bit longer. I think what is going on there – and it doesn’t happen for everyone – is because it is killing other organisms. And so, if a person had some yeast overgrowth, and all of these are anti-fungal as well, a yeast die off is even worse than bacterial die off, so they are going to feel crappy the whole time while other things are dying. You know, there is more killing going on. So, uhm, that’s really the only problem I’ve seen, other than people just having an allergic reaction or just not tolerating them, which can happen with anything. DrMR: Right. Yeah, it’s definitely, definitely a good point. That’s one of the nice things about some of these herbs is that they can kill other stuff at the same time. So, if you, for example, I’ll see blasto (Blastomycosis) somewhat. That’s one of the more common ones I’ve seen. Blasto and candida are probably the two most common other co-infections I’ve seen along with SIBO. My protocol for blasto is I add in some different items along with the SIBO treatment. The nice thing about it is you kind of get a chance to clean house, so to speak, when you use the herbs and get a lot of other stuff out that you may not want there to begin with. DrAS: And then there is one last treatment – that’s the elemental diet. Now this…you know how you were saying, gosh, you wanted the antibiotics to be some amazing thing with this 90 percent success rate or whatever. That’s actually what I find with elemental diet. DrAS: Elemental diet, I find to be the most successful of any of our treatment options, but it is the hardest to do. What it is is nutrients we would need for…like we would get from our food, but they are in their most digested, broken down form, and they are powered. You mix the powder with water and take it like a drink. There are many commercially available elemental diet formulas. These are traditionally used for inflammatory bowel disease and other conditions. They are often used in the hospital to give someone’s digestion a rest or to let their intestines heal. The one that’s been studied for SIBO is Vivonex Plus. Dr. Pimentel did the studies on this. It had I actually think around an 84 percent success rate when he did those studies. It’s used similar to an antibiotic, because you would do this diet, where all you’re doing…you are not doing your medicines, you are just drinking this substance for two weeks. Actually, how it’s meant to be done is, at the end of two weeks, on the last day, you’d go in and get a breath test, and get the results right then. If it’s not been negative, if it’s not been cleared, you would continue for one more week, and go a third week. That’s the way the studies were done. What I find is that it is incredibly successful for very high gas levels, or for someone whom hasn’t responded to the other treatments. I’ve seen this a lot. There is just nothing better. If someone comes back with, whether it is hydrogren or methane – you know, like, 150, 175, or higher, my God, that’s going to be a lot of treatment rounds of antibiotics and herbs. Typically I find, on average, the antibiotics and herbs lower the parts-per-million (ppm), lower the gas level, by anywhere to 25-35, somewhere in that range – we will just say 30 ppm on average. DrAS: Sometimes I get a bigger one, and that’s really exciting – I will get a 60 or 75 ppm lowering. But, on average it’s only that much. So, if you get a gas level of 150 or something, you know, you just do the math on that – that’s going to be four or five rounds of antibiotics or herbal antibiotics. So, elemental diet in two weeks could just bring those levels way down. And I’ve seen that over and over and over again. And, what’s really wonderful is I’ve seen that with methane over and over again, which can be much harder to treat. But, the problem is, you are not eating, you are not eating food. You are only drinking these nutrients, and that is really psychologically difficult. And also, it tastes really bad because it uses amino acids, and amino acids are very bitter, and they give a lot of people a strong gag reflex. It’s really unpleasant. And that’s the protein form. Since it tastes so bad, some people are just traumatized by the whole thing. And some people don’t even want to drink much of the substance, and they wind up partially just fasting. A person could fast just by drinking water, but you’d want to do that under medical supervision, for sure. So, you can see that this very hard, and so, a lot of people don’t want to jump into that. What I usually do is reserve it for something at the end. I always give everyone the option. But, people usually would much rather see if they could use some herbs and take care of it right, you know? DrAS: And not see such a difficult thing. But I will say this: always the people, you know, we’ve had to go through all these treatments, and eventually wind up doing elemental diet. They always say they wished they’d just done it to begin with, you know? But, what they also says is they weren’t ready; they just weren’t ready to do it. You’ve got to work up some mental stamina to be willing to do that. DrMR: You can’t pitch this idea too soon, because it will freak people out, I agree. DrAS: Honestly, I must say I do. I give everyone the option right up front so they know what all our options are. And I let them choose what they want. And some people do choose it. But, like I said, I have a different sort of group of people that come see me – they are usually at their wits end already. DrMR: I will agree with you, actually. I do…I don’t mention this to every patient, but I think my population is a little different than yours. But, usually the more severe, and the longer someone has been at this, then the more readily I will say, ‘Hey, this an option we should probably consider.’ If it is someone – and this is probably not what you see very often – that has never been tested or treated, then I am hopeful we will be able to knock it out with just one round of herbal treatment and some dietary changes. But, if they’ve already been treated a few times for SIBO, and it’s just really recalcitrant, then, yeah, that’s where this I think makes a whole lot of sense. DrMR: I am so glad you did that, by the way. Thank you a thousand times. DrAS: You are welcome! There were two reasons – one, because the expense is just too great for many people; and second, a lot of my patients are very health minded, and they didn’t like the ingredients in Vivonex. It’s got some ingredients that are not copacetic to people like ourselves. So, it’s no big deal if you are just doing it for two weeks, really. But, the people wanted a more clean version. People can do that as well. They can just look at that – I have that recipe posted on my website, posted under ‘Treatment: Elemental Diet and under Resources-Handouts. You can get that there. It doesn’t taste any better – it still tastes awful. It’s just cheaper. But one other benefit is that it allows you to have more control. Vivonex Plus is a high carbohydrate/low fat formula, and most of the people that I see tend to be…obviously, SIBO is a condition where there is carbohydrate malabsorption, so carbs are not well-tolerated, and fat is often well-tolerated. They don’t want that. Now granted, Vivonex is formulated so that these carbohydrates absorb and don’t feed the bacteria, at least that’s the idea behind it. And studies show it works. But, a lot of people don’t want that many carbs. So, this allows them to control. Or, if they find that they are having a reaction to too much of one thing versus another, they can fiddle with the proportions themselves at home. And also, they can take it…it gives them more control over how they can take it. Instead of mixing it all together, maybe they’ll just take a spoonful of this and a spoonful of that. That sort of individual control people like. DrMR: Do you know how much it costs when you do it this way? Do you have an approximate cost? DrAS: I think it’s like a $150-$200, something like that, to do this, which is comparable to the herbs, honestly, especially if you are using the Allimax Pro. But, gosh, compared to $800-$1,000, that’s a lot better. DrMR: Yeah, it’s a huge improvement. DrMR: So, we’ve covered antibiotics, herbal antibiotics, (and the) elemental diet. We’ve talked already about the diets. What about prokinetics and waiting four or five hours in between meals? DrAS: Waiting at least four hours between meals is something Dr. Pimentel recommends to allow a chance for the migrating motor complex to happen, whatever little bit you might have. This is very, very useful. I find that when people implement this, they can tell a difference, they can actually tell the difference with this. So, I really recommend that. Now the problem is for people whom have low blood sugar who need to eat more often. Very often, when someone goes on – all of the SIBO diets are low carbohydrate – a low-carbohydrate diet, their blood sugar problems will get better. But sometimes they don’t. So, that’s a problem that a lot of people face, where one condition they have has an opposite treatment from another. So, that’s up to them and their doctor to figure their way through that, but if you can’t wait four hours, see if you can wait three, you know? You do what you can do. DrAS: The longer you can wait, the better. The prokinetics are an essential part of treatment, really. They are used for prevention. But sense the predominate amount of people have…their underlying cause is a deficiency of the migrating motor complex, prokinetics are meant to stimulate that migrating motor complex. So, whatever little bit left of those cells you have that perform that, they are going to help stimulate and help make a migratory motor complex happen. For many people, that is going to be the main way they can prevent it from coming back. Until we learn – I mean, Dr. Pimentel is working on this – a way to actually fix and repair the migratory motor complex, what we have left to do is just stimulate it with drugs or an intervention. Even if someone had another cause, like obstruction, stimulating the migratory motor complex would be of assistance in that case, too – just to try to get it past the obstruction. So, it will better when we have a test for the migratory motor complex to know for sure if it is needed for someone. But, until that time, we just prescribe to everyone. For myself and my practice, without a prokinetic, I’ve only every once seen a person be able to go without a prokinetic ever in five years. So, to me it’s an absolutely essential part of treatment. I still hear…I would say the No. 1 reason people come to me is because their gastroenterologist or their doctor didn’t prescribe a prokinetic to them. They might have gotten the test; they might have gotten the right treatment and felt all better. But they weren’t given the prokinetic afterward and they relapsed, and that’s why they are coming to me. I still hear of doctors who say, “Well, I am treating your SIBO, but I don’t think you’ll need a prokinetic.” That might be the case for people who are seeing more simple cases that I’m not seeing. But I don’t have any experience with that, and I just don’t like the idea that…I guess, if you were going to do that, you’d need to make sure the patients was OK with that gamble and that risk. Are you OK with these symptoms returning in two weeks-to-two months, or for however long it might be if we don’t try this? Let them choose, because, for me, I see that it is essential. So, I will just briefly mention the prokinetics that we tend to use for SIBO. Pharmaceutically, that would either be resolor – and you can find these all listed on my website, although I think I only have a bare minimum mention of resolor – erythromycin, and low-dose naltrexone, which is called LDN. Herbally, we can use iberogast or modal pro. So, you might want to mention something about this because you’re doing a study, aren’t you? DrMR: Yes, and I don’t want to go into too much detail, because I don’t want to pre-bias people. We are in the process right now of setting up a study looking at prokinetics in the treatment of SIBO. And one thing that came to mind as you were talking was, maybe we could try to build in some sort of…we are going to be tracking something with some sort of short form – we haven’t figured out exactly what the form will be. But maybe we will do…part of the analysis will be correlating some of the severity with the efficacy of a prokinetic. Maybe what we will find is that the more sever the case, the more helpful the prokinetic. And the less severe the case, the less helpful the prokinetic. Because, with your experience being that everyone needs it, I notice that I’ve seen some that really haven’t. But, again, I see some patients that this is their first rodeo with anything with the gut. And they respond beautifully. Maybe, without the tests, until a test is available, there will be a correlation with severity of symptoms and gas levels, and then how effective the prokinetic is. So, that might be interesting to track. And then, any commentary on the pharmaceutical versus the herbals in terms of effectiveness? DrAS: Yeah, so far I’ve been iberogast for about a year now, and I’ve used modal pro for a few years, and I still can’t quite tell on iberogast how well it’s working. But, it has very good studies showing that it is a prokinetic for sure – it works that way. I’ve seen modal pro work well, but I usually – once again, we have to think about the severity of the patients I see – I often have to use it with a second prokinetic, usually LDN. I often use LDN and modal pro together. I would say that resolor is the strongest prokinetic we have as an option. And, in terms of the pharmaceuticals, the safest. I’ve seen it work very well. I’ve also seen erythromycin – that definitely works quite well. And then, LDN works the least well – what I mean is that I’d say in a third of my patients, it’s not strong enough for them. And, for a good majority, it is strong enough for them. DrAS: But, my patient population is very challenging, with many multiple conditions. Many people I see have some anatomical alterations that is making their SIBO next to impossible to clear and prevent from relapsing. People like this, no one prokinetic is going to do the job. They’ve really got other circumstances that are really challenging in the mix here. And, I also see often people are quite sensitive to these prokinetics. For many years, it just seemed like everybody was reacting to whatever prokinetic I would give them, with allergy, side effects, or things like that. So, I would often have to go through every single one of my options until I could find one that wouldn’t agitate a person. So, I just wanted to mention this. This is not necessarily the norm, but in case this is happening to you, or if a patient or doctor is listening, we just have to trial-and-error all these different things. And then, in terms of iberogast or modal pro, I don’t know if one is stronger than another. There are some challenges with modal pro because it can cause GERD – it’s got ginger in it, and sometimes it is almost like acid reflux but ginger coming back. A lot of patients experience that. Some patients don’t mind, and they just drink water and they’re not bothered by it. But others are really bothered by it. And it can also stimulate large intestine bowel movement, so sometimes it’s not the best match for somebody who’s had diarrhea. But, sometimes a person can’t tolerate the pharmaceuticals or can’t get a hold of them. So then, this is what they have to use. I’ve certainly been using them quite a lot. I will be thrilled when we can have a study for iberogast on SIBO and see how well it does the job. DrMR: Well, that’s a question that we are hoping to answer, so as long as everything lines up, that’s…because that’s what I really want to know. There was a study published looking at tegaserod and erythromycin as prokinetics in SIBO, and they showed a real, significant benefit. I am curious to see if we can quantify that and show something similar with a natural compound. So hopefully, fingers crossed there. A couple things: you make a great point with what you just said, which was that you kind of have to go through trial and error, try this agent, try that agent, see what works. I think that’s a really important thing for patients to realize. Sometimes you just have to stick it out. Sometimes I will come across a patient or what have you, where they will have seen one doctor, had one reaction, and then they jump ship. While I understand sometimes it may not feel like the particular provider is a good fit for you, really sometimes the best clinician, right – I mean, Allison, you’re a SIBO specialist – you have to try method after method to find the right fit. I’ve noticed the same thing. For the patients that can just kind of stick it out and work with you, it really yields to the patient, I think, huge dividends. If you, anytime there is a negative regression, just jump ship and go to another provider, it’s going to be really hard for any provider to get to know what works well for you. Because, again, anytime there is a speed bump, you jump ship. I just want to reiterate that, because that is one of the most brilliant things you say with regards to treating challenging SIBO – sometimes you’ve got to stick it out. DrAS: Absolutely. And like I said, even with treatments, I will try herbs and they aggravate a person, I will try antibiotics and they aggravate a person. And, this isn’t with just one – I will go through three different courses of herbs, I will go through two or three different courses of antibiotics, and then all that is left is elemental, and it will be their miracle. I am not clairvoyant – I am not a medical intuit, and I can’t read minds, so how am I suppose to know? I do good discussion with people to try and get a sense – have you used this before, have you reacted? But, how are we suppose to know until we try? DrMR: Right, absolutely. I agree. DrMR: Any other stuff regarding treatment you want to mention? DrAS: No. That’s pretty good. We covered it. DrMR: It was funny – when we got on the call, we were saying, ‘Oh yeah, we will shoot for about 30-40 minutes,’ and now we’ve gone about an hour and a half. But hopefully this very lengthy discussion will be helpful to people. I’ve certainly learned a few things, so thank you just for your time and attention. Any new stuff or announcements that you have going on that you want people to be aware of? And then, after that let people know where they can get more from you? DrAS: Oh, sure. The exciting things is that we are putting on another SIBO symposium this year (3a). We did one last year, and it was the first full conference just on SIBO. That’s going to be this June, I think it’s the 7th and the 8th, it’s the first weekend. It’s in Portland, OR, but we have it available by webinar, so anyone can watch from anywhere they are. We’ve got good rates on this conference for the public and everything. You can find that information by Googling it. You can go to my website. And you’ll probably have a link, too, for it. I will be there in person and hopefully get a chance to meet you face-to-face. So, that will be cool. DrAS: Fantastic. That’s really the main announcement. There are…we mentioned that there are some test coming down the pike, there is another one we didn’t even talk about. I know the FDA is going to be looking at approving riflaximin coverage – you know, for IBS, so that it would be on people’s insurance. When these sorts of things happen, I will make an announcement in my newsletter. So, I would encourage people whom are interested to learn about the new test that are coming, and things like that, to join my newsletter. It’s free. I only send it out four-to-six times per year; I am not like a blogger. I only send it out when there is something important to say. You can sign up for that on the welcome page of my website. My website is siboinfo.com. I don’t share it with anybody, obviously, your email address. So, I would recommend that. This podcast will probably be put out in late spring, but I just did a newsletter about a week ago – so it’s March, so at the beginning of March, so I will probably do another one in late spring. Also, for anyone who is interested in studies, or when important studies come out, I mention them in my newsletter. I mention the herbal antibiotics studies as soon as it came out. I mentioned the generic versus branded riflaxin studies as soon as it came out. So, if you are interested in keeping up on SIBO, sign up for that. And, I think that’s about it. DrMR: And your newsletter is fantastic, but the way. It’s just chocked full of good information, so thank you for taking the time to do that, also. DrAS: Thank you. Glad you like it. DrMR: Uhm, yeah, definitely. Well, Allison, thank you so much. Hopefully the people listen have gotten a lot out of this. I would definitely check out Dr. Siebecker’s stuff because I think she, like I said, is the SIBO queen. Definitely keep an eye on her because she is doing some amazing stuff. Thank you so much for taking the time out to speak with me. And, hopefully, I will meet you at the symposium in person in a few months. DrMR: All right. Well, thanks again. Thank you for listening to Dr. Ruscio Radio today. Check us out on iTunes and leave a review. Visit DrRusso.com to ask a question for an upcoming podcast. Post comments for today’s show and sign-up to receive weekly updates. That’s D-R-R-U-S-C-I-O.com. What are your thoughts or experience with this? Is there any difference in the treatment for the Hydrogen Sulfide SIBO if a person were to get the urine test for it and it were positive ?? We don’t think so but we also don’t have any studies testing this assumption. My thinking is treatment would be the same as for H2 and CH4 gas. Dr. Siebecker speaks on elemental diets…. I attended the SIBO Symposium and I listened to the three case studies presented. If elemental diet is so effective, then why did 2 of the 3 case studies relapse? I would really like to hear more stats on the number of people who have been helped by this, who have not relapsed. Dr. Rusico, if you have some experience with this as well, I would love to hear it. I am part of the FB page for SIBO Clinicians and of the 200 clinicians participating in this group, no one is reporting success with this. Great question. Treating the SIBO and preventing the SIBO from coming back are two different things. ED is a successful treatment but it doesn’t prevent relapse. This is where motility and/or structural problems with the intestines come in. If people have severe problems with motility or structure (or other factors that increase chance of relapse) then they may have SIBO return even after the ‘best’ treatment. Does this make sense? I don’t know the relapse rate or stats for post ED off hand. I have found ED to work just as well as the other treatments. However, its possible that the ED may appear to not work as well as the other treatments b/c of selection biased. Meaning only the more severe cases actually do the ED. My brother was just diagnosed with SIBO (after 10 years of many doctors & much suffering) and he could barely endure 5 days of 3 times daily doses of Xifaxan 550 mg tablets. He had to stop the 14-day regimen on day 5 because of fever-like episodes of sweating and freezing, headache, inability to sleep or have bowel movements. Within a few hours of missing his last dose of Xifaxan, his symptoms went away, he had a bowel movement, and he finally was able to fall asleep. I told him about this article, particularly about the generic that comes from India. His pharmacist told him that his came from Italy. It sure sounds like it could be a similar problem. He has a call into his doc’s office, but until he hears back from his doctor, may I ask what brand name of Xifaxan is a good one to try? I’m not sure if his insurance will cover a brand name, but perhaps it would be covered if his doctor writes the prescription for a particular brand. I also told him about the “elemental diet” … He may be ready to try the homemade version. Sounds like that might be the case or it could be a reaction simply to antibiotics. If reactions continue I would try one of the other treatment options. Thanks for your prompt response! One additional question, if I may: My brother’s Xifaxan label says Salix/Valeant. I see in the link that you say the one from Alfa Wassermann Company is the one to get because it contains only rifaximin-alpha, and that others may contain beta & gamma, which may have higher bioavailability and I assume would then have more of a chance of a wider range of side effects. Is this a correct assumption? Would the pharmacist be able to tell my brother whether his Xifaxan contains alpha only, or others like beta & gamma? If not alpha only, then he should request a script from his doctor for Alfa Wassermann’s rifaximin product, wouldn’t you say? Hey Karen. I would work with your pharmacist on this. I only use the branded version from the US so I don’t have much experience with troubleshooting this b/c its never been an issue. Wondering what that pain medication is called that is supposed to be better for people with digestion issue? Were you able to find that out? Thank you! See the link in the show notes! Please check notes first as I try to provide all links for these transcripts there. Hope this helps! What do you think of the “smart pill” for diagnosing SIBO? I hear it tests PH , transit time and also the pressure at the valves. Ileocaecal ect. It is covered by Medicare so must be vetted somewhere. I have valve weakness at all valves low stomach acid and poor transit ( from back surgery, PPI. tizanadine, gabapentin for MANY years) would you kno what to do with these results? I can,t convince my doc to order it bc he down,t know whTto o withresults. Hi- Smart pill can’t dx SIBO, but I think it’s a cool test. Could give some good info! No need to worry about getting the doc to order it for a SIBO dx- just get the breath test. Hi Michael, great episode in particular and enjoy greatly your podcast in general, always helpful. I have a question based on a recent podcast of Chris Kresser’s in which he interviews Dr. Pimentel. One of the doc’s suggestion was that people NOT be on a restrictive diet during the treatment phase: he wants to feed the bacteria, make them happy and hungry, so that they are actually ingest and succumb more readily to the antibiotic. What do you think of that suggestion? Thanks! Yes I agree with this. I do not advise patients to avoid FODMAPs during treatment. I believe we mentioned this on a SIBO podcast several months ago. I only advise one to avoid/limit a certain FODMAP food, during treatment, if they notice a strong reaction to that particular food. We start low FODMAP along with other SIBO preventative strategies post eradication. Hope this helps and to see you at PaleoFx this year! I was given Xifaxin marked Salix/Valeant by Pantheon in Ontario, Canada. So far it’s just an endless nightmare. Could this Canadian brand not be as effective as the American brand? If so, what is the difference? Hi Regina. I would stick with the US brand because this is what has been used in the studies. I do not know what the difference is off hand. You can also use retesting as a way to gauge effectiveness. Hope this helps! Salix Pharmaceuticals held the US Patent for rifaximin and marketed the drug under the name Xifaxan. Valeant acquired Salix in 2015. Valeant also acquired Commonwealth Laboratories in 2015. Commonwealth offers breath testing for GI disorders including SIBO. They also owned the rights to IBSchek. Hi Dr. R! Thanks for another fantastic podcast! I would like to know your current stance on biofilm disruptors in the light of SIBO? Dr. Siebecker has stated that she has not noticed any difference when using biofilm disruptors in SIBO patients and other SIBO experts don’t seem to use them in their SIBO protocols either. So do you currently use biofilm busters in your practise when treating SIBO with herbal antibiotics? Also, biofilm disruptors are advised to be taken between meals. Would that small amount of solid matter interfere with the MMC as you are not waiting 4-5 hours before you “eat” again? Have you come across any other cons in terms of the use of biofilm disruptors (for example Interfase Plus)? I love how you try to save people’s money so is this biofilm disruptor thing one case I could save a few bucks in my pocket? Thanks! We discuss this in a podcast that will be out in a few weeks AND I will hopefully be publishing data gathered in my clinic on this in the near future too. I would not worry about your MMC question at all, way overthinking it 🙂 In short though – I’m not convinced they are needed for SIBO. Hope this helps and more to follow! During an elemental diet, is it OK to continue taking betaine? Hi Louis, You can but I don’t know why you would as ED is predigested. What would be the suggested diet/treatmenr if I’m still breastfeeding? Got a hydrogen& methane result of H20 34 methane 35. Could anxiety/depression and adrenal fatigue result from SIBO? I don’t have digestive symptoms besides some mild bloat and mild constipation. I may have candida as well. What would be the biggest symptoms of this? I wouldn’t recommend ‘treatment’ while nursing but you could use a low FODMAP diet, this can also help with colic. Yes/yes and yes 🙂 The symptomatic manifestation can very widely but it sounds like some of what you are exhibiting fits. Hope this helps! First I must say it’s a great interview on SIBO and a wealth of information. I would like to ask Dr Ruscio what he thinks about my terrible experience with Betaine hydrochloride. So, I had a positive LBT test for SIBO with the usual symptoms for IBS, bloating, gas and sleepless nights because of this and some weight loss too I think due to the sleepless nights. My colonoscopy did not reveal much. I wanted to try Betine to improve my digestion. I took 2 capsules 648 mg with 2 different meals and experienced very acid taste in my mouth for many hours after, also I was very cold all day long, 2 bowels a day for the next 2 days which is unusual for me I usually have 1 BM per day. I was completely drained, had some strange heart aches. Not to mention all the additional bloating and gas. I repeated the whole thing few weeks later just to retest and I had pretty much the same experience. It feels like Betaine is damaging my intestines and my body wants to get rid of it fast that’s why multiple BM per day. Betaine instead helping makes things even worse. So, why do I have such experience? Is my intestinal lining damaged so much that adding Betaine is doing more harm than good? Also had a similar experience with apple cider vinegar. Hi Dan. Glad you enjoyed the episode. I think we addressed this when we spoke about how HCl can make ulcers worse. You may have an ulcer which the acid is aggravating. Hope this helps! Thank you Dr Ruscio for your comment, great point. Could a leaky gut be causing the HCl intolerance as well? If you don’t mind another question. I’ve noticed you and Dr Siebecker both use of Allicin and a recommendation for methane predominant patients. Does it mean that in hydrogen dominant SIBO the Allicin is not necessary or maybe just smaller doses will work? Possibly, but its a bit speculative. It’s not that simple regarding treatment. Certain herbs work better or worse for different people; treatment and monitoring determines this. Hope this helps. Hi Dr R, my GI has prescribed xifaxan for me as something to try to alleviate my GI symptoms even though a glucose SIBO test came back negative (in fact my methane was 0 and hydrogen was 03). If you were a patient would you feel comfortable taking a course of xifaxan without a positive breath test? I am unsure if I have SIBO or not because some of the symptoms match but they also match for other conditions. From the podcasts and information I’ve read about xifaxan it seems it would not hurt to try to see if my symptoms improve but I wanted your opinion. I already have the xifaxan so there would be no cost monetarily to trying it. Thanks for addressing my question. Great question, and I recommend talking to your doctor before you make any decisions. While Xifaxan is intended to work in the intestines have minimal side effects, it’s still ideal to know what is causing the problem in the first place. Xifaxan is a approved for IBS-D, so your doctor may think it’s still a good option for you. While breath testing is the gold standard for SIBO it’s still not a perfect test. However, based on your test results, it does not sound like SIBO is the issue. If you’re hesitant about taking antibiotics, you may consider doing further testing to rule out other infections such as Candida, parasites, etc. Thanks for your quick reply! My only doubt in my SIBO breath test results is the fact that glucose was used instead of lactulose which you suggest. I actually made an appointment with your staff a few weeks ago so I am excited to see how you want to tackle this! In the meantime if I wanted to try an elemental diet, have you heard of patients trying the Pure Form capsules instead of the powder (as outlined in Dr Siebecker’s formula) to avoid the bad taste or is there some benefit that the powder would yield that I couldn’t reap from the capsules? Some evidence suggest glucose may actually be a better test solution, stay tuned for more here…. If we have an appointment coming up we can tackle all this once we get you started. But in short I do not think the form matters at all; powder or capsules but I have not researched this either. Is the Canadian Rifaximin labelled Zaxine 550mg generic? It comes from the US I believe. Would this brand be safe or be knowned to cause systematic effects? Thank you for this podcast I have listened to it with interest, I have also followed the recent SIBO symposium podcasts and feel well informed to be able to realise what I have to do to keep SIBO away now. I have relapsed twice with SIBO in the last 3 years, but I have not stuck rigidly to Dr Nirala Jacobis diet nor meal spacing nor have I been using a pro kinetic up until now. I have just started with Iberogast after not being able to tolerate LDN or Erothomycin. , so perhaps you or Dr Siebecker would like me to get back to you in the future as to its efficiency for my case? Glad to hear your on the right track. Sure, feel free to comment here with an update. Good luck! I have been on many different treatment plans and yet my SIBO continues to return. The only treatment that helped me was a combination of rifaximin and neomycin for two weeks. The last 3 days of the treatment I felt completely normal!..But as soon as I stopped all of the symptoms were back in 3 days. Do you think taking the antibiotics for a longer time would have prevented this? Or starting the elemental diet after completing the trial? Also if I came back positive for hydrogen SIBO do you think my doctor treating me with nystatin will help at all? Thank you for the awesome episode it was very insightful! The best think I can offer you in terms of a solution is the comprehensive self-help protocol contained in Healthy Gut, Healthy You which speaks to this exact situation. There is an answer! It just more than I can outline here.